As known SEO is all about optimizing a page for search engines to help cache information related to users queries. 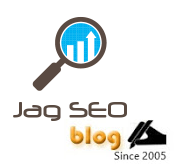 Think to a point that you are helping search engines to know about your pages. This will certainly help you to become a good SEO specialist. Anybody who knows how search behaves for users queries will be successful to rank well. Knowing search behavior is key knowledge that helps to understand how keywords as well backlinks work for top listing. Search logic will help to improve the solid business conversion and it should come through experience handing various domains both international and local. As always search engines like to crawl content pages easily and code analysis knowledge for a SEO person is very much essential and it will help to format the code by removing unwanted or arranging codes in a desired format, adding right search engine friendly tags that support easy web page crawl and as well help to reduce the pages size. Hope the SEO formula made you to think and if you know something similar or have come across any other, feel free to post it through comment section. Why not to over do SEO? #1. Do not try to build bulk links in one day. Take time to get quality links. One quality link is equal to n number of quantity links. #2. Make sure you follow keyword density, If you are already listed in #1 page below your competitor. Do not think only by increasing keywords in content can bring you the top position above your competitor. These can even result to removal of current organic listing or the result can be pushed to last. #3. Write content for users experiences and not alone for Search Engine spiders.